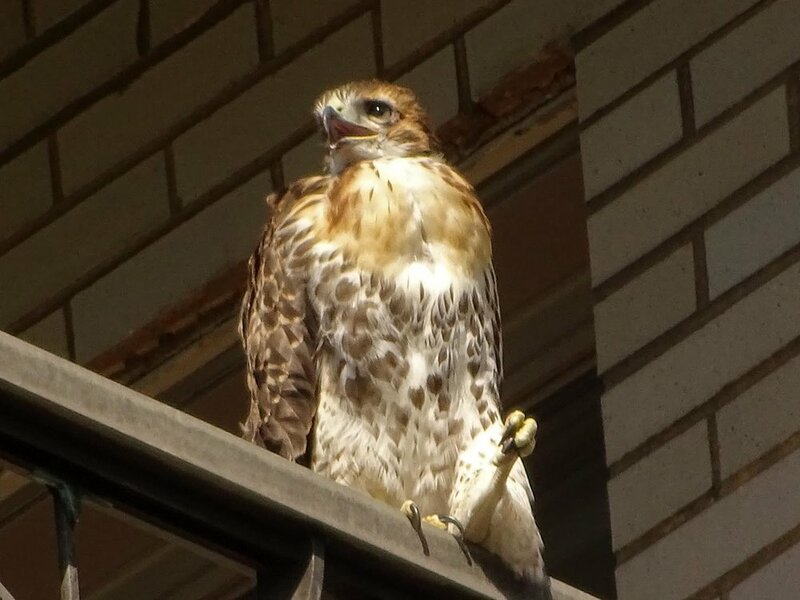 Pale Male and Octavia have three baby hawks this year, and on June 1, the first kid fledged. On June 2, that kid was hanging out on Pilgrim Hill, south of the model boat pond. 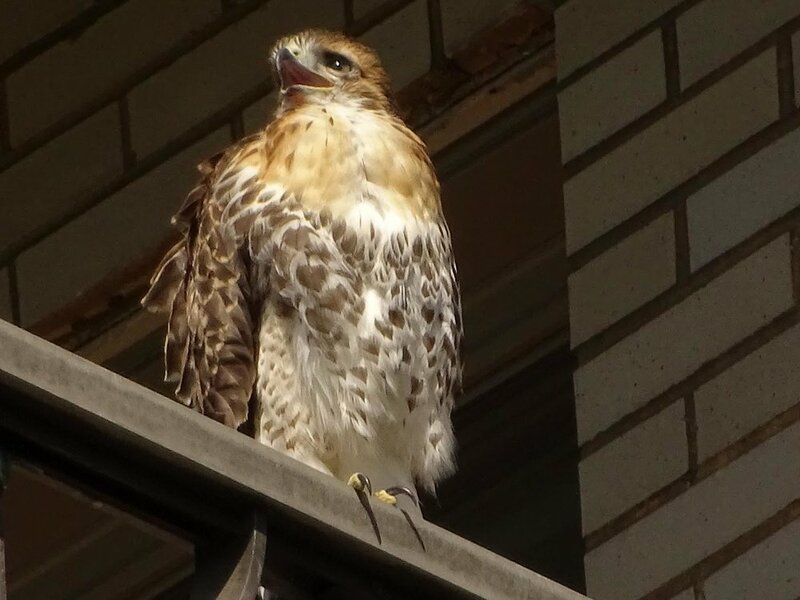 A second youngster left the nest on June 2, but was not terribly thrilled about spending the first day on a next-door building on an eighth-floor balcony, and was back on the nest on June 3. 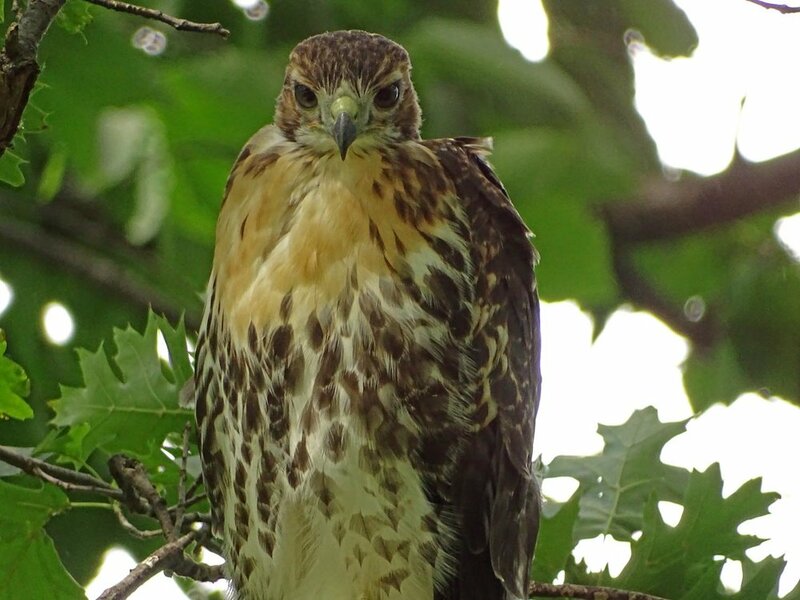 So it's time for more Chasing the Hawks in Central Park videos, and I filmed these two youngsters, plus Mom and Dad, on June 2. 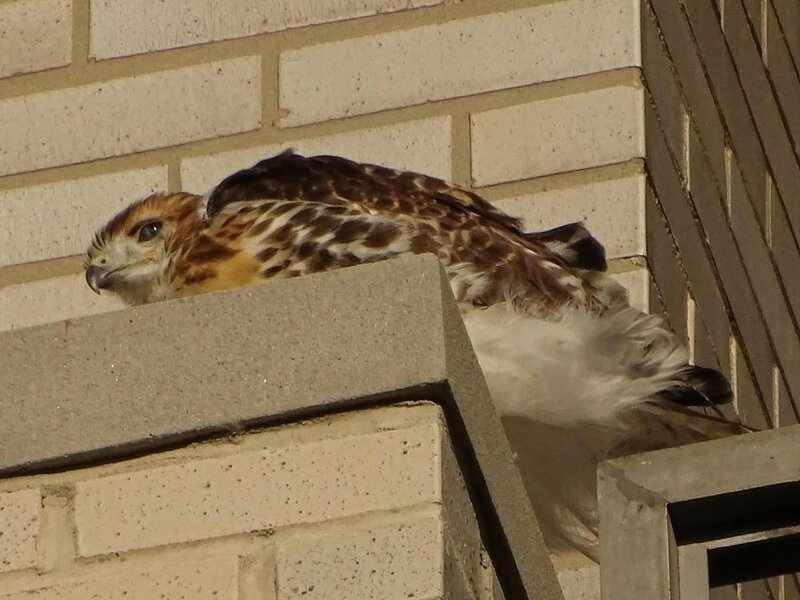 The second fledgling is a real crybaby, but I wasn't able to obtain clear sound of the wailing because the street noise was so loud, so I removed the audio. The photos and video of these birds were taken with the new Sony camera. I'm not yet sold on it, but will have to get used to it, I suppose. The photos are not quite what I'd like, but I'm still getting used to the camera. 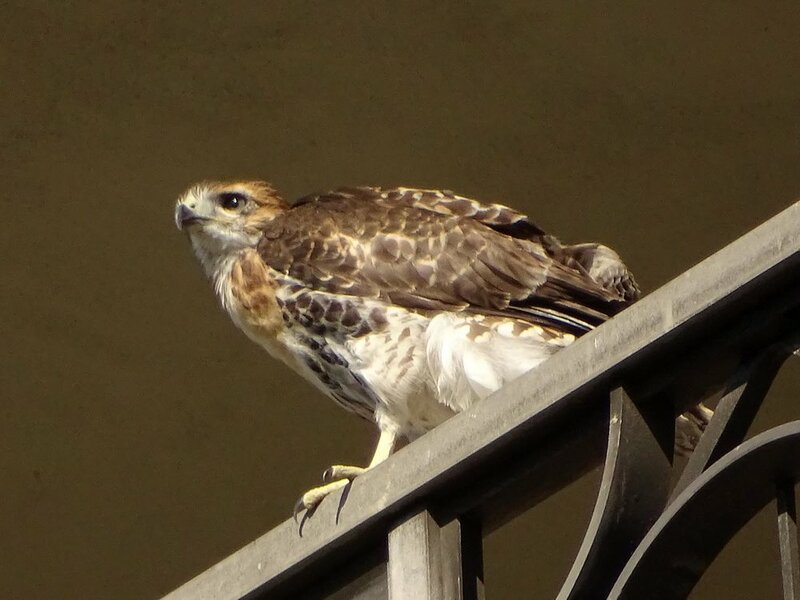 They are a record of one of the first days after fledging. Octavia came to visit the first fledgling on top of a pine tree after bringing in a pigeon, but the shot didn't come out. Older PostWhatever You Say, Willet!